I’ve been sprouting beans and grains for a while now, mainly using the sprouts in salads. However, I’ve recently started adding rye sprouts into bread dough. 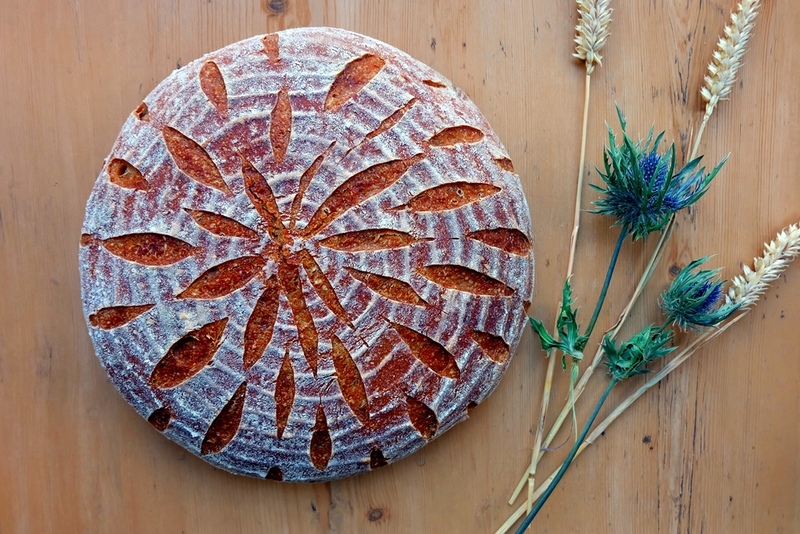 By adding a little bit of wholemeal and rye flour as well as the sprouted rye kernels, an otherwise plain white loaf of sourdough bread turns into something pretty special. 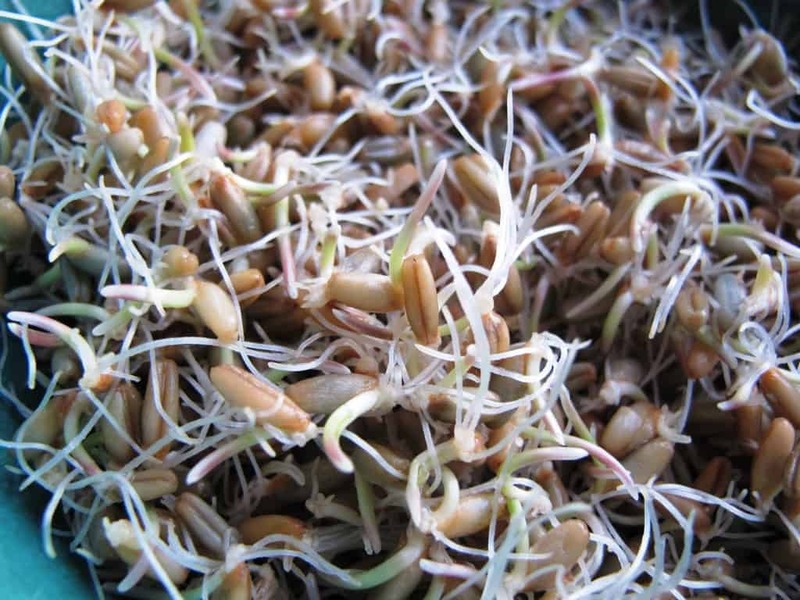 The nutritional benefits of sprouting grains is not researched well and are perhaps somewhat on the marginal side but there is some evidence that supports the claim of the added nutritional value (boosted vitamin levels) and enhanced digestibility of the grains. The sprouted rye kernels do however add a lovely ‘bite’ and unique texture to the bread and provide extra moisture and that’s good enough for me! The easiest way to sprout grains is with a seed sprouter (seed germinator). It takes only 2 to 3 days to get the seeds ready. As soon as the shoots are the same size as the grains, the sprouted grains are ready to be used (please note, the above image shows kernels which have sprouted for slightly longer). Combine in a bowl and leave to rest a room temperature for approx. 16 hours. 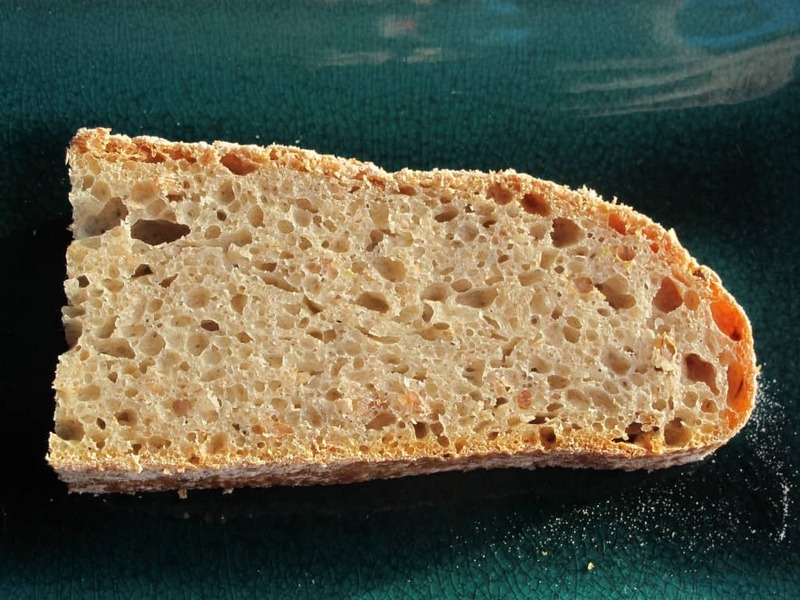 In a large bowl, combine 200g sourdough with the remaining ingredients except the sprouted grains. Add the sprouted kernels until they are evenly distributed in the dough. Rest the dough in a bowl (covered with cling film) for 1 hour initially. Fold the dough and place in a floured proving basket. Prove for approx. 2 hours at room temperature. Preheat the oven to 230°C half an hour before baking. Carefully flip the dough from proving basket onto a baking sheet covered with baking paper – take care not to deflate the dough. Bake at 230°C for 15 mins, then for a further 35 mins at 180°C. The bread stays fresh for days and tastes great when toasted!